Soft skills are those intangible skills that cannot be taught. They are the skills that you develop through personal and professional experiences. 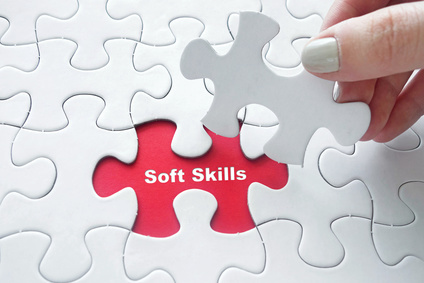 You won’t learn soft skills merely by completing your eMBA. Instead, you develop soft skills through experience, closely working with others, and actively taking on roles as a leader. You will take soft skills with you in whatever role you tackle, both personally and in life. Furthermore, because they cannot be taught, they are highly valued by companies. Development of these skills helps further your career. Therefore, it is essential that you prioritize your soft skills to further your executive career and communicate your value. How do you prioritize your soft skills to further your executive career? Soft skills cannot be taught. Again, they are developed. As you gain experience, you acquire these skills that make you a vital asset to any company. However, you must be conscious of developing those skills and make an effort to document how those skills have brought value to you and your employer. Be Mindful: Consider the skills that you believe you need to work on most. Maybe you’ve been told in an evaluation or you inherently know a particular soft skill is not your strength. Whatever the case, be mindful of it and devise strategies to improve your skills gap. Recognize That Hard and Soft Skills Work Together: Your learned skills as a result of your eMBA and soft skills based on your experience mold you into a valuable asset that companies desire. You have the knowledge to both effectively do the job and work with others to get the job done. Seek Out Opportunities: There are some circumstances that provide a better opportunity to gain a specific soft skill versus others. Seek out those enhanced opportunities. Engage in the optimal situation to practice using and developing a particular soft skill. Ask for Feedback: Some of the best insight is gained through feedback from a mentor or your peers. Ask specific questions such as “How can I better communicate x?” or “What are some ways that you notice I could improve my self-awareness in meetings?” “How did you become an expert in x?” These questions allow you to benefit from real, honest feedback from those who work closely with you or you admire.